Exploring the Blue Mountains was a breeze with this bus pass! Redemption was hassle-free as there was no queue (we took the 7.23am train from Central and arrived at Katoomba around 9.22am). Driver Jimmy was so warm and helpful, telling us exactly how to walk around to fully experience the stop we alighted at. Do stop by the chocolate company for a hot cocoa and some choc truffles. Don't forget to spend some time at Leura Village. I would love to visit again! 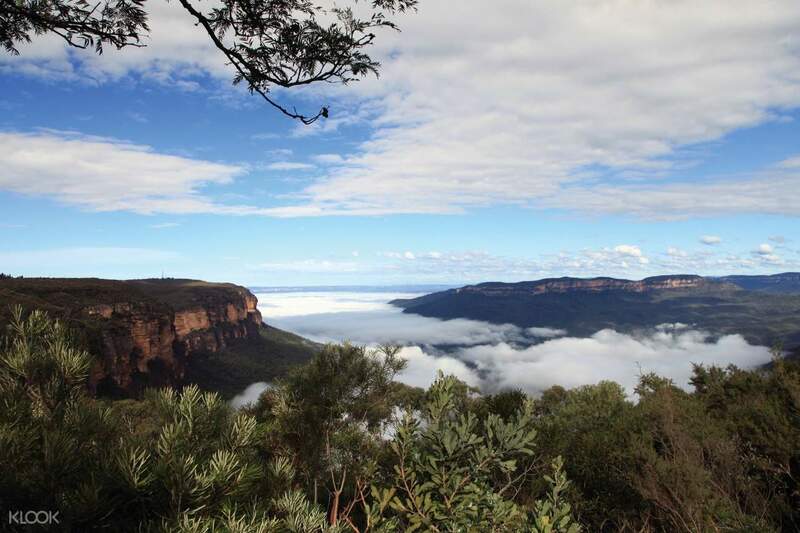 Exploring the incredible splendor of the Blue Mountains needs more than tour with restrictions. And this Hop on Hop Off Bus Pass makes sure that you are in control of your Blue Mountain itinerary. With a hop on, hop off bus pass, you can step off the bus at any of its stops so you can explore the location as you please. And then, when you're ready to go to the next stop, just hop back onto the next bus that comes to the stop. This allows you to see what you want to see and explore the locations that you're interested in. See the Three Sisters, the Scenic World, the Waradah Aboriginal Center, and more. You'll also be provided by a guide book that provides you with valuable information, maps, and the best destinations to stop at. 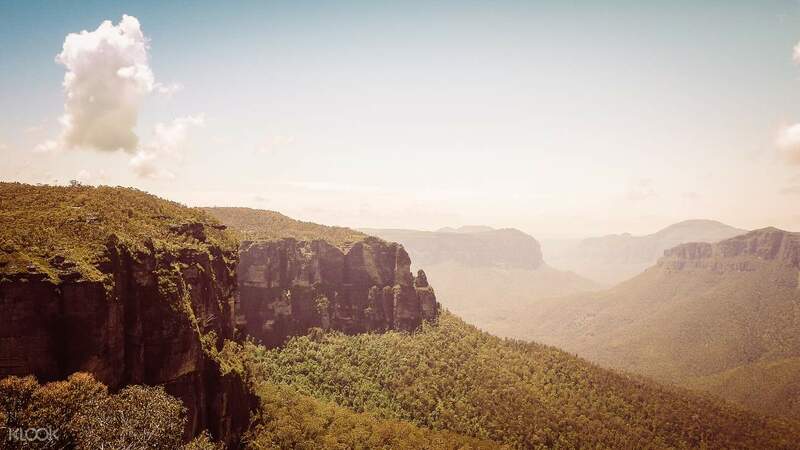 Explore the rich grandeur of the Blue Mountains' wilderness, with your travel in your control. See the splendor of the Blue Mountain, at the stops you want to see and explore! You can extend the validity for up to 3 days, so explore the mountain and master it! Exploring the Blue Mountains was a breeze with this bus pass! Redemption was hassle-free as there was no queue (we took the 7.23am train from Central and arrived at Katoomba around 9.22am). Driver Jimmy was so warm and helpful, telling us exactly how to walk around to fully experience the stop we alighted at. Do stop by the chocolate company for a hot cocoa and some choc truffles. Don't forget to spend some time at Leura Village. I would love to visit again! Exploring the Blue Mountains was a breeze with this bus pass! Redemption was hassle-free as there was no queue (we took the 7.23am train from Central and arrived at Katoomba around 9.22am). Driver Jimmy was so warm and helpful, telling us exactly how to walk around to fully experience the stop we alighted at. Do stop by the chocolate company for a hot cocoa and some choc truffles. Don't forget to spend some time at Leura Village. I would love to visit again! 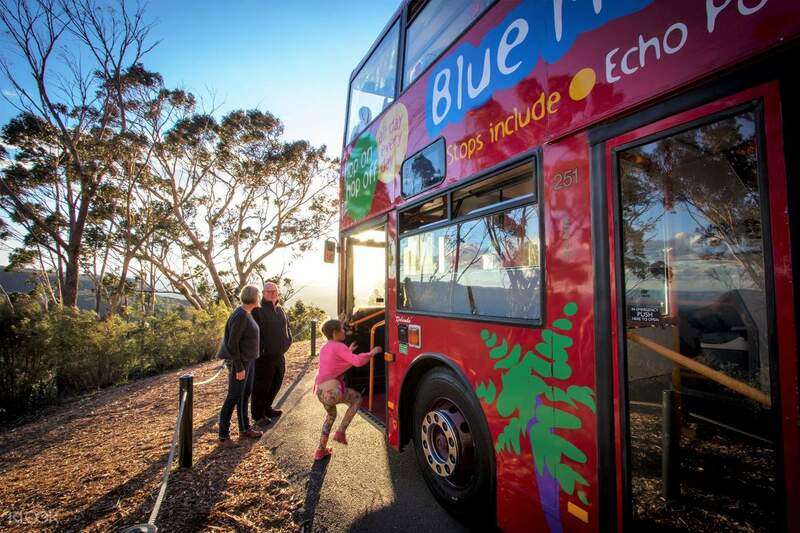 We definitely enjoyed our time at the Blue Mountains because of this hop on hop off bus. During the duration of the trip, we encountered three drivers of the bus and all of them were very funny and witty. Almost all of them asked us where we from and after we said that we're Filipinos they immediately blurted out words like "pogi ako", "ang pangalan ko ay _____" and "salamat". We wouldn't have done the Blue Mountains tour in any other way. Thanks klook for the great experience. We definitely enjoyed our time at the Blue Mountains because of this hop on hop off bus. During the duration of the trip, we encountered three drivers of the bus and all of them were very funny and witty. Almost all of them asked us where we from and after we said that we're Filipinos they immediately blurted out words like "pogi ako", "ang pangalan ko ay _____" and "salamat". We wouldn't have done the Blue Mountains tour in any other way. Thanks klook for the great experience. Bus drivers were informative and fun and he even made a stop during the last trip to take photos of passengers that had a very nice view. This was the best HoHo bus that I've ever been to. There is so much to see at the Blue Mountains. Please make sure to stay there for a night or two to walk through as much trails as possible. The driver would be happy to extend your ticket use at no charge. Bus drivers were informative and fun and he even made a stop during the last trip to take photos of passengers that had a very nice view. This was the best HoHo bus that I've ever been to. There is so much to see at the Blue Mountains. Please make sure to stay there for a night or two to walk through as much trails as possible. The driver would be happy to extend your ticket use at no charge. Try to go there early as there are lots of hiking to be done. Scenic world is the highlight of the trip. Try to go there early as there are lots of hiking to be done. Scenic world is the highlight of the trip. Cheaper to purchase tickets in Klook! The exchange of tickets was fuss free, booth was located right at the train station exit. Friendly and informative bus driver, enjoyed the rides very much! Start your day early so that you can get to explore more places. Cheaper to purchase tickets in Klook! The exchange of tickets was fuss free, booth was located right at the train station exit. Friendly and informative bus driver, enjoyed the rides very much! Start your day early so that you can get to explore more places. Must exchange bus pass before take a ride,otherwise driver will refuse you to step on.Exchange voucher just a few minutes will do.There will be a bus every 30 minutes for each stop. Drivers are very friendly. Must exchange bus pass before take a ride,otherwise driver will refuse you to step on.Exchange voucher just a few minutes will do.There will be a bus every 30 minutes for each stop. Drivers are very friendly. The buses are very convenient to take, with stops at all the interesting places. The drivers are all very friendly and will give you a lot of information on the best walking routes. The buses are very convenient to take, with stops at all the interesting places. The drivers are all very friendly and will give you a lot of information on the best walking routes. It has been a fun and hassle free experience. It was convenient for us to choose the locations we wanted to see. Thank you! It has been a fun and hassle free experience. It was convenient for us to choose the locations we wanted to see. Thank you! It is slightly cheaper than getting it directly from the ticket office. It does not save you from queueing outside from the ticket office outside the train station though (which took quite some time as everyone were getting there on the same train). It is slightly cheaper than getting it directly from the ticket office. It does not save you from queueing outside from the ticket office outside the train station though (which took quite some time as everyone were getting there on the same train).